* These single vision lenses are fabricated in our Denver Colorado Lab. 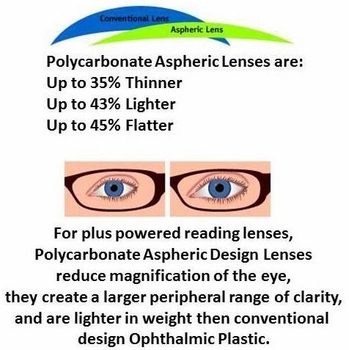 * They are made of the thinner light weight Optical Quality Polycarbonate, with an Aspheric design which results in a clearer periphery and less magnification of your eyes. 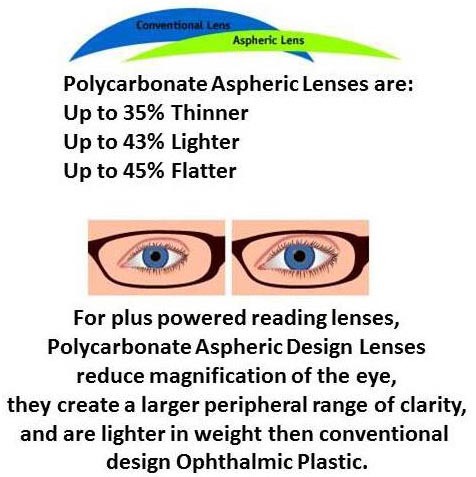 * Polycarbonate lenses are inherent with Scratch protection and Ultraviolet protection. * We will grind your Custom Prescription (it is offered on each product page) for an additional charge. * However there are no returns when we custom grind from Your Doctors Prescription.